This dish is comforting, a little decadent and just the right amount of spicy sweet. 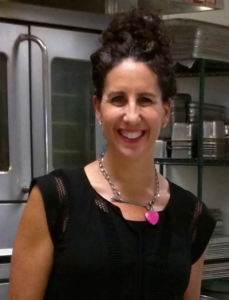 I love roasted chicken for Sunday dinner – it’s super easy to make which means we can “design our town” in the middle of the floor while the chicken is in the oven. When you get older you tell me you are going to be an architect, an artist, and a dancer. I don’t doubt it. 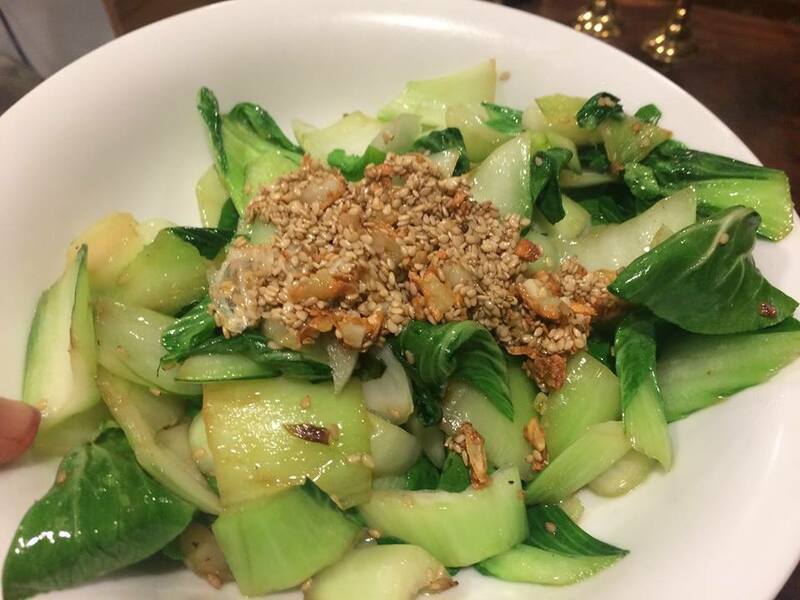 Great side dish is bok choy with “sesame crunchies” – recipe below. Use a whole organic chicken no larger than 4 pounds – I think 3.5 pounds is ideal but know smaller chickens are harder to find. Optional advance preparation: Leave chicken on a dinner plate uncovered in the refrigerator for at least 8 hours (24 hours is even better – I usually do this the night before I plan on serving the chicken). This allows the chicken to have crisper skin when it cooks. Before cooking the chicken place it on the counter for about 45 minutes. This tempers the chicken before it goes into the hot oven. Rub the inside of the chicken with kosher salt, then put in a quartered orange, 2-3 garlic cloves (unpeeled is fine), a sprig or two of rosemary, a couple of bay leaves, and 5 or so black peppercorns. You can tie the chicken legs together so the stuffing doesn’t fall out – however this is one step too many for me and I usually skip it. Rub the outside of the chicken with pink Himalayan salt* (kosher salt will work too). Put the chicken in a cast iron or oven proof skillet breast side up. Chicken goes into a preheated 425 degree oven for about 45 minutes. However, check the chicken at about 15 minutes – if it’s browning too quickly turn the oven down a bit. While the chicken is roasting: whisk together with a fork a 1/2 stick of butter (room temperature ), about 2 TBSP of honey and a teaspoon of cayenne pepper. You never notice the heat of the cayenne, it’s subtle but adds good flavor. After the chicken has been cooking about 45 minutes take it out of the oven. Slather on this butter mixture put it back into the oven and let it cook another 15 minutes. Let rest out of the oven for 15 minutes before carving. Pink Himalayan Salt is an unrefined, unprocessed “raw” salt with the full spectrum of 84 minerals and trace elements. Roughly chop 6 cloves of garlic. Lightly brown garlic in a few glugs of olive oil. Be careful not to burn, keep the heat medium low and stir. After a few minutes add a handful of sesame seeds and stir another few minutes. Pour this garlic/sesame seed mixture into a small bowl. Up the heat a bit to medium add some sesame oil, put in washed baby bok choy and sauté until just cooked through. Add the garlic/sesame seed mixture. Toss and serve.